Running from the 19th July through to the 22nd July. NOR and regatta info coming soon. The Byte Grand Prix will be happening from 5th – 10th August 2017 as part of the Nanjing International Sailing Festival. Racing will be conducted at Xuan Wu Lake, Nanjing, China in both Byte CI and Byte CII classes. Prize Money for 1st, 2nd and 3rd place. Byte, the class that ‘does what it says on the tin’, what does that tin promise? That racing will be equal between age and gender, the only requirement being that helms are on the lighter side. 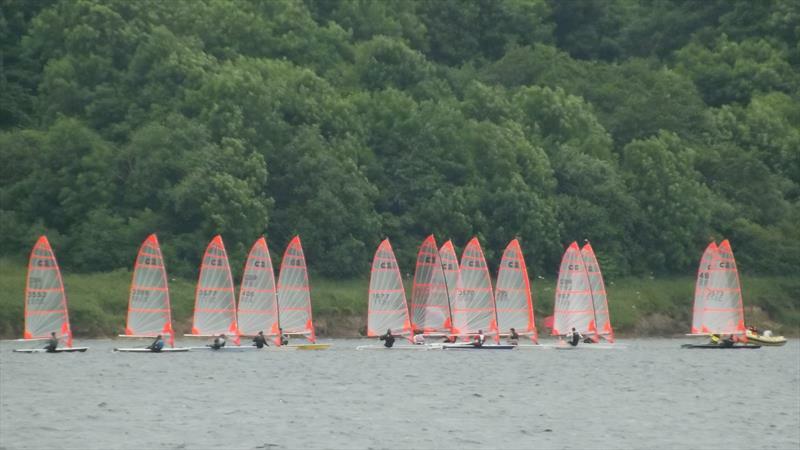 This was successfully proved in the Byte open race at Carsington Sailing Club on Sunday June 19 when another excellent turnout of fifteen Bytes joined twenty six Supernova’s for an exciting day of racing. Posted in Australian Championship by admin. Open to both Youngsters and Parents, this is always a great regatta on Syndey Harbour and this year will be no different. There will be limited numbers of Byte charter boats available from PSA, please contact for all details and bookings. The ByteCI and ByteCII have been included in this years Sail Sydney regatta. PSA have charter boats available for $200 for the regatta. This will get you the full kit, just turn up and sail ! If you would like to reserve one please email jason@psasailing.com.au today. The notice of race is now up for the 2016 Byte Asian Championships being held in Qingdao as part of the 7th City Clubs Open Regatta International 2016. See the NOR for all details including instructions, charter options and accomodation. 2015 ByteCI & ByteCII National Championships – A hit with the kids ! Kids love the Byte C1!